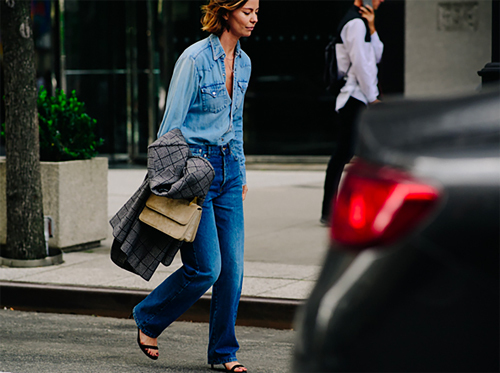 For New York fashion show attendees, a good pair of jeans isn't enough. As shown here, they're doubling down on denim, sporting it head to toe. Earlier this week, I highlighted the latest must-have jeans here, but as to what to wear on top, try this Rebecca Taylor blouse, this J.Crew shirt (or this one), this Rachel Comey top, this Isabel Marant belted jacket, this Madewell wrap blouse and this faux fur trimmed Mango. 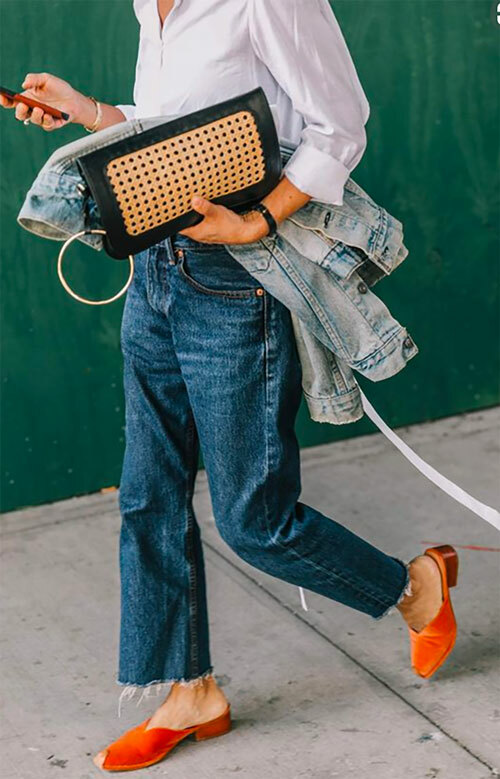 Do you know which brand of denim the first picture is? Thanks!! I'm also wondering about the denim brand in the first shot? Thank you!! 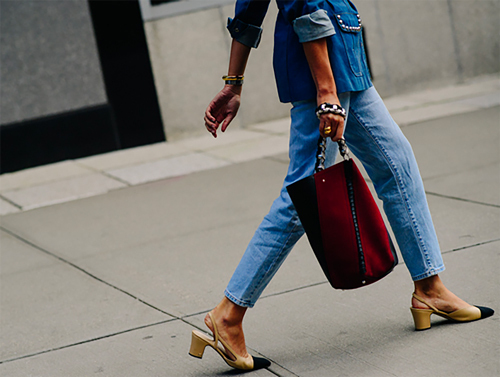 Do you know what brand the gold mules in the first photo are? Ditto on the last two questions posted". Thanks!